Andrew Spollett is in charge of sixteen acres of tomatoes. Sixteen! I am responsible for ten plants. He's the vegetable production manager at Bartlett's Farm on Nantucket, a farm famous for his tomatoes. 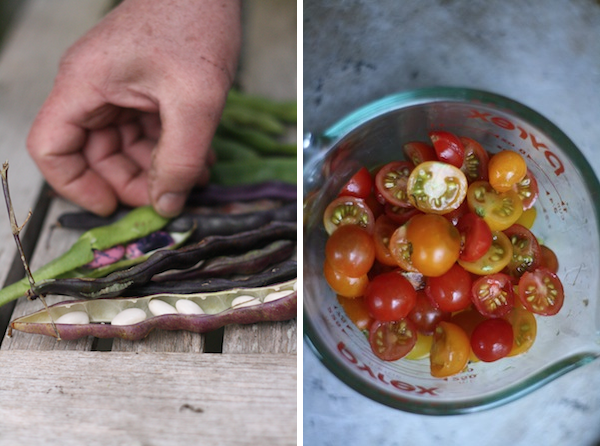 So when I visited the island a few weeks ago, I decided to ask him about all things tomato—what varieties he likes, where to plant them, and how to take care of them once they're in the ground. Here's what I learned. For varieties, in general he likes heirlooms. He says they tend to be juicier, prettier, and in general more flavorful than hybrids, which are often bred for vigor, blight resistance, producing a lot of fruit, and long shelf life. These are all good qualities, but when it comes down to it, he picks beauty and flavor. (For a full discussion of the differences between heirlooms and hybrids, check out this article.) His favorite varieties are Cherokee Green and Cherokee purple, both with low acidity and a smoky flavor; Brandywine, a slicing variety that yields huge pink fruits; Sweet Orange Cherry (the name pretty much says it all! ); and Celebrity, a hybrid with excellent disease resistance that Andrew says is perfect for stewing and canning. Finally, he has some planting tips. Tomatoes like full sun, so a nice sunny spot is important. They also like to get some fertilizer when they go in the ground—compost or a fish emulsion are both nice. You want to stake them—good, high cages are best to support clusters of fruit. (I have yet to spring for these, but one of these years I am going to either buy or build a 6 foot cage. The 3-4 foot ones simply aren't high enough!) And finally, he says you really don't want to water tomatoes from above. Getting the leaves wet is a good way to encourage fungus and blight, and it's only the roots that need the water. The best system is some sort of drip irrigation or soaker hoses, but if all you have is a sprinkler, he says just water in the morning instead of at night so the sunlight dries off the leaves over the course of the day. Now's the time to plant—soil temperatures on the Cape are averaging about 65 degrees, which is well above the 55 degree minimum that tomatoes like. If you didn't start your own plants, I've seen tons at local farmers' markets and nursery centers, so it's not too late! And just think: only two months til the first fruits are ready for harvest. I'm crazy about kale raab. Have you tried it? Quick, run to your farmers market and see if there's still some left! It's available only for a month or so in early spring, and we're getting close to the end of its run. I love to sauté it lightly with onions, then finish it off with a grind of sea salt, a dash of red pepper flakes, and sometimes a little grated Parmesan and lemon juice. So easy, so good. I've also discovered that kale raab is a fine substitute for asparagus, including in my all-time favorite stir-fry. The stalks have a consistency surprisingly similar to that of asparagus spears. Happy day! 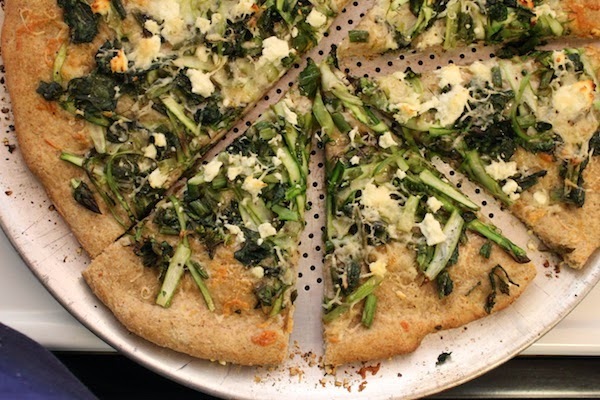 Armed with this newfound knowledge, I knew just what to do when Anna and I were salivating over a Smitten Kitchen recipe for shaved asparagus pizza recently and didn't have enough asparagus: we used half kale raab and half asparagus. The result was excellent. What's more, I think we could easily have used all raab and had something just as tasty. The discerning eye will notice two discrepancies between the recipe and photo below. Where are the scallions, you ask? We had them all ready to go—and they were gorgeous, straight from the farmers' market that morning—but forgot to add them before we took the photo. Gah. More important, where is the mozzarella?! We'd just bought a beautiful, fresh ball, handmade in Vermont, but it turned out to be bad (a first, in my experience). Alas, we didn't discover this until we were ready to put it on the pizza and I happened to steal a nibble. A few expletives later, we were on our way with Plan B: a combination of feta and grated Parmesan. The pizza was delicious, but let's be honest: it would have been even better with mozzarella. Some days that's just the way things go. Fortunately, we know there will be a next time. We tinkered with Deb Perelman's original recipe—of course. (Isn't that what recipes are for?) As for the dough, the sky's the limit. The recipe below is super quick and easy, but feel free to use whatever your own favorite is. As for the raab and asparagus, you can obviously use all of one or all of the other. I'm sure any other raab (broccoli, for example) would also work nicely. In a medium-sized bowl, dissolve the yeast and honey in the warm water and let stand until it's nice and bubbly, about 5 minutes. Stir in the flour, salt, oil. Knead well or beat in a stand mixer with the dough hook (hello, e-a-s-y!) until smooth. Cover and let rest in a warm spot while you prepare the raab and asparagus. It's also time now to turn on your oven, to 450 degrees F.
Using a vegetable peeler and holding each asparagus spear by its sturdy end, peel the spears into thin shavings. (I was tempted to take a shortcut here and just dice it. Anna barked that I would not be doing that, and she was right. This is not the tedious task I thought it would be.) Gather your raab into a bunch and trim just the teeniest bit off the ends, then slice through the bunch at roughly 2-inch intervals. Put the asparagus shavings and raab in a medium-sized bowl and toss with the olive oil, sea salt, and black pepper. Roll out your dough and move it onto a lightly oiled or cornmeal-dusted baking pan or stone. Drizzle the dough with a few teaspoons of olive oil and then put on the mozzarella. Add the asparagus and raab and sprinkle with Parmesan. Bake in a preheated 450 degree oven for 10 to 15 minutes, until the cheese is just how you like it. Especially if your crust is all or partly whole wheat, be careful not to overcook or the crust will be too dry. Sprinkle with scallions, slice, eat, and happily say mmmmmmmmm. Hey there. Things are busy here. The restaurants are open, the farmers' market is up and running, and in the meantime there are radio shows to make and a garden to tend and a very small wild woman to take care of. But I wanted to pop by and say quickly that if you haven't tried this recipe for strawberry rhubarb crisp bars, they're worth a go. A few notes: I used all rhubarb instead of half strawberries, as they're not in season here yet, and I recommend not skipping the step where you line the pan with parchment paper, as the bottom will stick. Also, I think you could cut the brown sugar in the topping a bit, especially if you double the recipe, which I did. That's all. Happy rhubarb season, everyone. 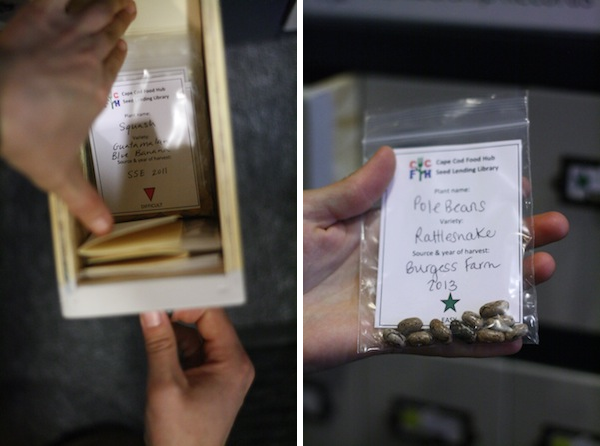 Last week on the Local Food Report I learned about seed libraries. This week, I visited one—one of the first of its kind in our area. 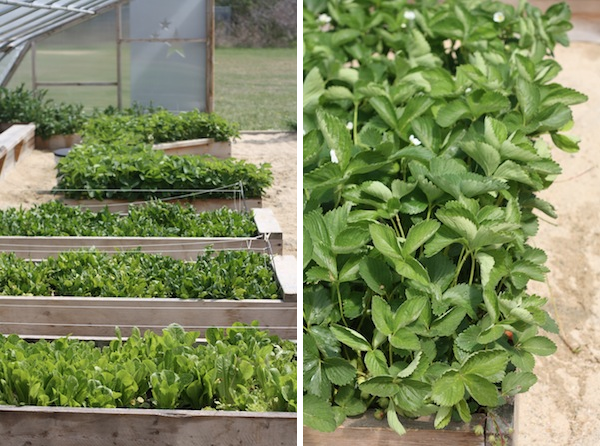 This March, a group called the Cape Cod Food Hub put together a seed catalog at Sturgis Public Library in Barnstable, and another one at the Brooks Free Library in Harwich. So far the two libraries have about 60 participants planning to grow and save seed this summer. Tara Laidlaw is one of the organizers, and here are here top three picks for home gardeners from the seed library this year, in her words. Rattlesnake snap bean — Green pods have streaks of purple, beans are mostly tan with purple-brown flecks but some have the opposite coloration. They have a vining/climbing habit so they're great for smaller garden spaces, as opposed to bush beans which take up more real estate in a garden bed. They have good drought tolerance which is great in our fast-draining sandy soils. E.H. 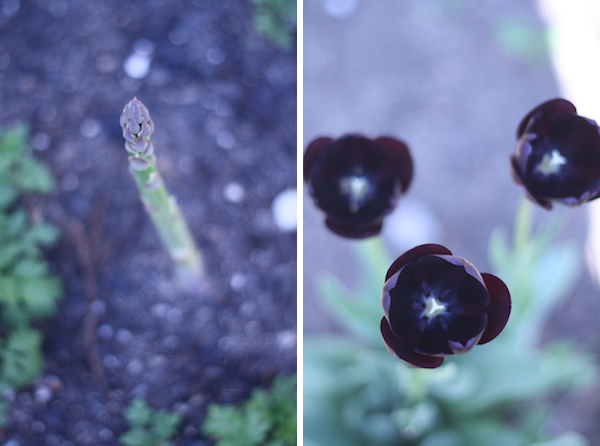 Note: We planted these last year and loved them, both for their taste and their looks. Their vining habit also makes them great candidates for a bean teepee! We just put our structure up and are planning to plant as soon as the soil warms up to about 70 degrees F. Thank you to Gail Ferguson who recently showed me how to get reports on Cape Cod soil temps here by clicking on the Current Landscape Message in the upper right corner. You can check out the temps that different plants like for germination on this handy chart. Goldie ground cherry — Large sprawling bushes bear a ton of yellow-gold fruits in their own little lantern-shaped husks, and when the husk is dry and papery (not green and leafy) you know the fruit is ripe. They have a pineapple-tomato flavor and make a great crumble/crisp, preserve, or chocolate fondue dipping item. They'll self-sow pretty prolifically. Seeds are slow to germinate and need lots of warmth. Red Russian kale — I promise I'm not just suggesting this because I have so much seed!! Overwinters great on the Cape, I didn't even mulch in the fall and they popped right up last month. Beautiful purple stems and veins in green leaves. Makes a great full-size leaf in the fall, produces sweet leaves from frost til serious snow (and sometimes even through a layer of snow! 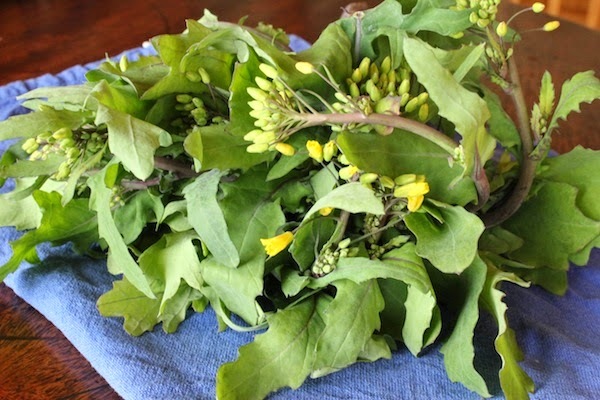 ), looks dead through the deep winter, then comes back with delicious tender baby leaves in the spring. They were the first green thing in my garden this year! There's also a new seed library at the Brooks Free Library in Harwich and a seed swap at the Truro Public Library. Happy planting! Is this a recipe? I don't know. But it's what we're eating. It's what we ate alongside whole wood-fired black sea bass and duck confit at Fore Street when we celebrated Anna's graduation from nurse practitioner school Friday night (! ), and it's what we made with spears from our own garden when we got home sun-tired and hungry late yesterday. It's everything asparagus should be: tender, fresh, bursting with flavor. The waitress at Fore Street said they top their spears with ribbons of a New England Capriano, and after a lot of googling I've determined it must be the Capriano from York Hill Farm in New Sharon, Maine. It's an aged goats milk cheese with a firm texture and sharp, salty notes with just a hint of sweetness. It's won a lot of awards, and my lucky mother can buy it at her farmers' market in the summer. I couldn't find it when we stopped at the grocery store on the way home, but we had a chunk of Piave sitting in our cheese drawer in the fridge, and that did the trick. (A quick side note on grocery stores: Whole Foods opens in Hyannis this Wednesday, and has reached out to a lot of local producers.) Whatever cheese you use, look for something sharp and salty, firm and somewhere in the genre of Parmesan. And if you're thinking of planting your own asparagus patch, do it! There was a time when I never thought we'd be able to pick our asparagus. You have to wait three years once you plant it, and in 2009 that seemed like a long time. 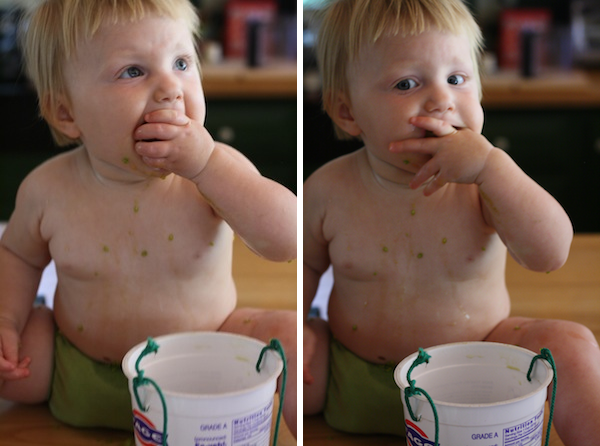 But here I am now with a two and a half year old and asparagus in droves. You don't really need measurements here. Just very fresh asparagus, olive oil, salt, and a warm oven. Happy spring! Preheat the oven to 350 degrees F. Arrange the asparagus spears on a rimmed baking sheet and drizzle generously with olive oil. Season with sea salt to taste. Roast the spears for 10-15 minutes, until just tender. Shave cheese to taste over top, and serve warm. If you have any leftovers, they are just as good chilled the next day. This week on the Local Food Report, I interviewed the founder of the country's first seed library in a public library. His name is Ken Greene, and he came to the Vineyard recently to take part in a symposium on seed saving on the island. He believes local seed libraries are important for all kinds of reasons: increasing food security, strengthening community, passing down history, and preserving varieties that do well in all of our micro-climates. All seed libraries work differently, but the basic model is this: you "check out" a variety of seeds in the spring. You plant the seeds, grow the vegetables or fruits or flowers in your garden, and at the end of the season, save a few seeds. Then you return these seeds to the seed library. Next year, someone else can check them out! The seed library will be hosted by the West Tisbury Public Library. This will be the physical location for the seed collection and the library will host seed saving workshops in its space. The seed library will focus on a few varieties at first. This growing season participants will grow skunk bean, a traditional Mohawk variety with beautiful black and white mottling that was on the verge of disappearing until recently; flashy oak butter lettuce, a variety Ken grows in the Hudson Valley; and either Fox cherry tomatoes or Rose de Berne tomatoes. Participants from the seed symposium will grow them in their home gardens, document their progress with notes and pictures, and see how they perform on the island. If they do well, they'll do a community seed saving activity in the fall and these seeds will be the first in the local seed library. The idea fits in well with the public library model on a lot of levels—kind of like the "One Book, One Island/Town" program, it's about forming some common communal knowledge and trying to engage as many people as possible. It's also about sharing stories and information, and of course about learning. Next week I'm talking with Tara Laidlaw of Barnstable about a seed library in Barnstable. I've also heard talk of seed libraries starting up in Wellfleet and Truro, and there's one already up and running at the Brooks Free Library in Harwich. Does your community have a seed library? Any advice for communities just getting started? Update 2.5.15: The Vineyard now has a seed library up and running at the West Tisbury Public Library. They hosted a seed swap and germination workshop in late January. My rhubarb is up. It's the only thing of any substance growing in our garden right now—I give it two weeks until it's ready for cutting, and I can't wait! This week on the Local Food Report, my mom and I talked rhubarb recipes, and I promised to share them all here. So here you have it—a rhubarb round up. I like stewed rhubarb for its simplicity. It’s easy to make, and offers full strength when it comes to taste. I often double this recipe, as it freezes well and makes good eating in the winter when fresh local fruits are few and far between. For a twist, try adding a few drops of vanilla extract or a bit of orange zest once the stewing is done. 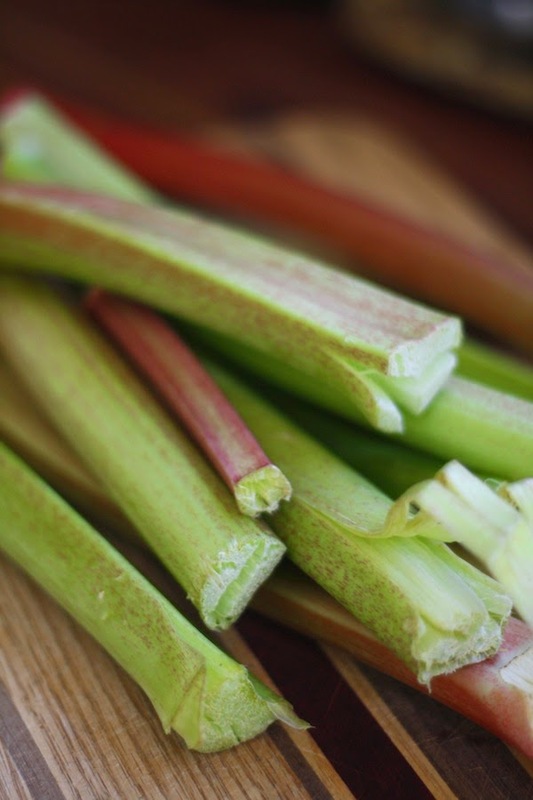 Combine rhubarb, water, and sugar in a medium-size heavy-bottomed pot. (Do not use an aluminum pot; the rhubarb is acidic and will react with the metal.) Stir to combine. Cover and cook over medium heat, stirring occasionally, for 5 minutes, or until the mixture comes to a boil. Turn the heat down to a simmer and continue cooking 10 minutes, or until all the rhubarb pieces break down. Serve warm or cold, mixed into plain yogurt or spooned over vanilla ice cream. I think of this as my godmother’s recipe, as almost every time I’ve had the dish it’s been from her oven, but my mom says it originates from Cooking Down East by Marjorie Standish (although we use half the sugar Marjorie does and still find it plenty sweet). It’s essentially a crisp—not the kind with oats, but the plain flour-and-sugar variety. It’s absolutely divine hot out of the oven with a scoop of vanilla ice cream, but I also love it cold for breakfast the next day. Preheat the oven to 375 degrees F. Grease a shallow 8” by 8” casserole dish (do not use an aluminum pan; the rhubarb is acidic and will react with the metal). In a large mixing bowl, toss together the rhubarb, granulated sugar, ginger, salt, and 2 tablespoons of the flour. Spoon this mixture evenly into the prepared baking dish. In the same mixing bowl, toss together the remaining flour, brown sugar, and butter, and work the butter into pea-size pieces using a pastry cutter. Sprinkle this topping evenly over the fruit mixture, and bake for 45 minutes, or until the top is golden and the fruit is bubbling hot. Serve warm, with vanilla ice cream. My mother passed this recipe on to me from her friend Sue, who says she found it years ago in an old issue of Gourmet magazine. It’s the sort of cake that works any time of day: as a coffee cake at breakfast, or a just-sweet-enough dessert come lunch or dinner. The recipe calls for serving it with whipped cream, but more often than not the cake is so good plain that I forget the cream. Preheat the oven to 350 degrees F. Grease a 9” by 13” casserole dish (do not use an aluminum pan; the rhubarb is acidic and will react with the metal). In a large mixing bowl, cream the butter and brown sugar until fluffy. Beat in the egg and vanilla. In a separate bowl, whisk together the flour, baking soda, and salt. Fold these dry ingredients into the eggs and butter until just mixed, then stir the rhubarb and sour cream in. Spoon the batter into the prepared pan. Mix the granulated sugar and nutmeg together and sprinkle them on top of the batter. Bake for 40 minutes, or until a cake tester inserted into the center comes out clean. Let the cake cool in the pan, and serve warm, if you like with whipped cream. From Genie Wheelwright, a close family friend: "I just tasted my creation. I pronounce it DELICIOUS! I happen to love marmalade and also ginger, so this fit me perfectly." Mix rhubarb and sugar. Let stand overnight. Cut rind from oranges and lemon into very thin 1-inch pieces, cover with cold water and bring to a boil. Simmer 15 minutes or until tender, drain, set aside. Remove pith from oranges and lemon and chop the pulp; add to rhubarb. Bring to full rolling boil. Reduce heat and cook about 10 minutes, until jam stage is reached (102C to 104 C, 215F to 219F). Remove from heat, add ginger and rind. Stir 5 minutes, skim foam (I found there wasn't any by this time, so maybe skim it off before these 5 stirring minutes). Pour into sterile jars. Makes about 7 cups. From Liz: This recipe is from a 1975 Joy of Cooking. Not such an old edition, really -- at least, not compared with my mom's 1934 Joy, which I also have! One note: you need three whole eggs total, so be sure to save the whites for the meringue when you use the yolks for the filling. 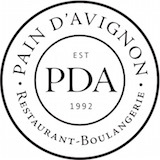 Line a pie pan with a pie dough. Preheat the oven to 400 degrees F. Place the the rhubarb in the pie shell. In a bowl, combine and beat together the sugar, egg yolks, flour, milk, and nutmeg. Spread this mixture over the rhubarb. Bake for 20 minutes at 400 degrees, then reduce heat to 350 degrees F and bake another 20 minutes. When the pie has cooled, use the reserved egg whites to make a meringue by beating beating them with the cream of tartar until foamy. Gradually add the sugar, beating until the mixture forms stiff peaks. Spread over top of the pie, then bake again at 325 degrees F for 10-15 minutes, until the peaks are golden. Cool and serve at room temperature or even chilled. Apparently we make a lot of rhubarb pie around here. I've featured rhubarb pies from Elise Kaufman, Jim Rose, and Alex's grandmother, and Anna's adapted the rhubarb pie from the Joy of Cooking to make a Rhubarb Ginger Pie. Great on Indian food! From Dishing up Maine by Brooke Dojny. My mom first had a rhubarb gin fizz last spring, and she's been looking to recreate it ever since. Here's a version from Martha Stewart. And for a non-alcoholic version, try Anna's Rhubarb Lime Fizz!